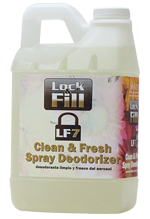 A highly concentrated liquid odor counteractant that chemically neutralizes the source of malodors and leaves a pleasant, long-lasting fragrance. 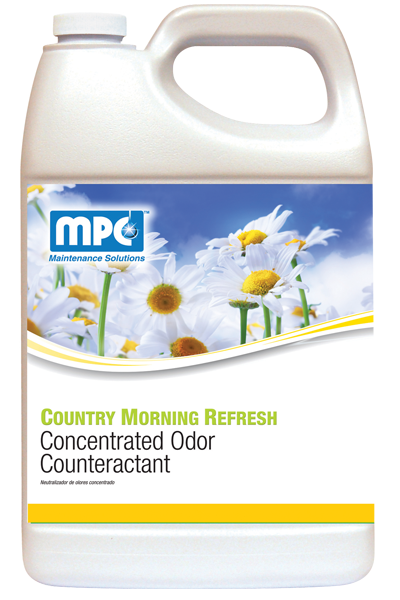 The powerful multi-purpose odor counteractant removes malodors caused by tobacco, smoke, urine, vomit, body waste, pets, garbage, fire, food spills and cooking odors. 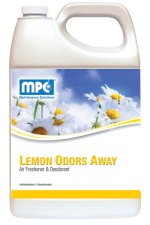 Ideal for use in institutions, hospitals, apartments, sanitariums, restaurants, factories, schools, hotels, kitchens, restrooms, latrines, septic systems, dumpsters, recreational vehicles or anywhere malodors are a problem. 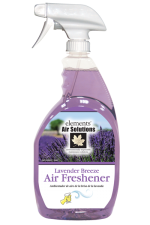 May also be used as a deodorant booster for carpet cleaners and general purpose cleaners. 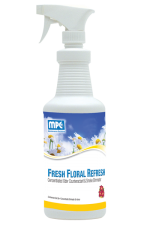 HAND SPRAYING: Spray undiluted product with a fine mist into air, onto carpets, drapes or directly onto source of odor. DAMP MOPPING: Dilute 2 ounces per gallon into mop bucket cleaning solution and mop onto surface. LAUNDRY: Add 1 – 2 ounces of concentrate to rinse cycle or add with softener to dispenser. 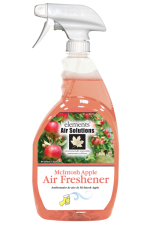 CARPET USE: Add 1 – 2 ounces of concentrate to each gallon of diluted solution. HOLDING TANKS: Add directly to holding tank. 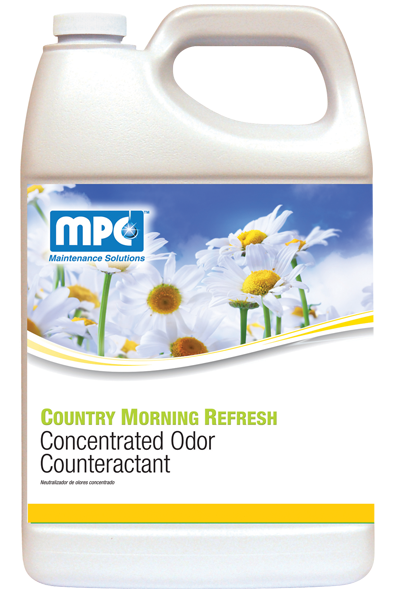 Use approximately 2 – 3 ounces for every 10 gallons of holding tank capacity.